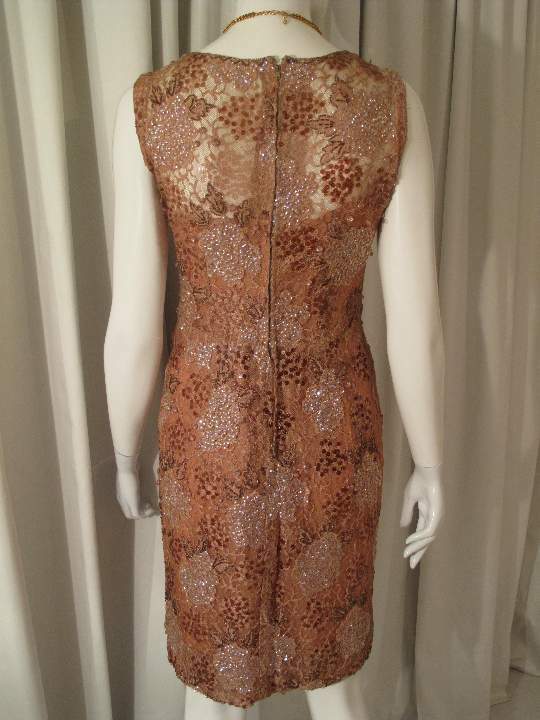 1950 s Coffee lace beaded vintage cocktail dress. Rolande. 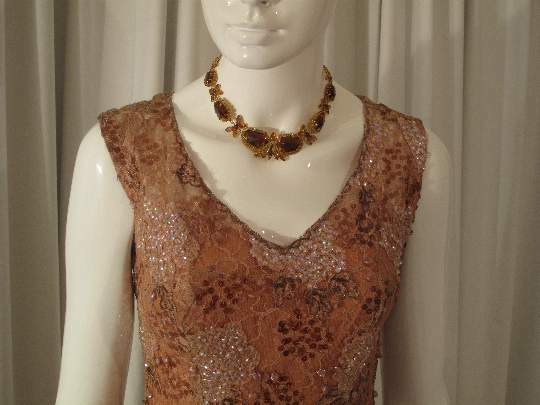 1950's Coffee lace beaded vintage cocktail dress. 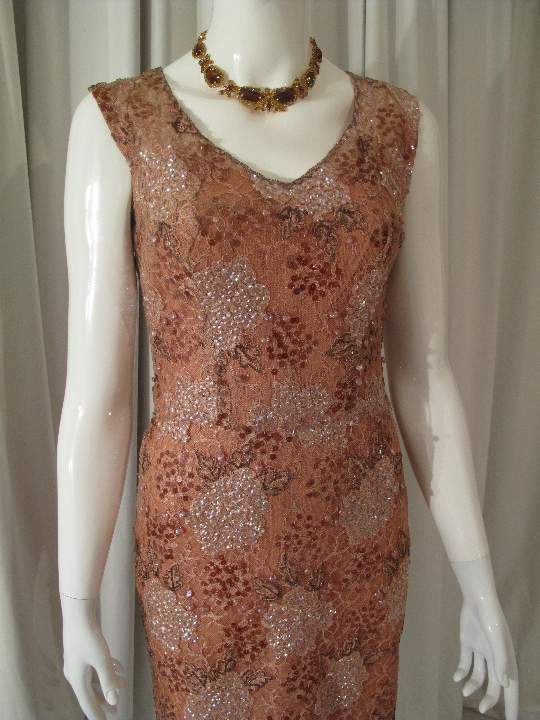 This dress is made of a lovely soft coffee coloured lace that is completly sequinned and beaded in a design that traces the pattern of the lace. 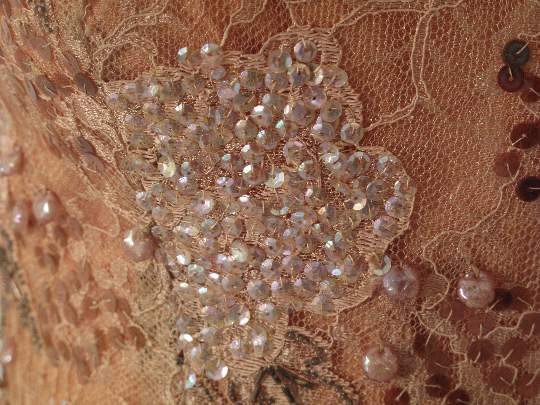 There are clusters of iridescant cup sequins, brown clear sequins, copper bugle beads and hanging coffee coloured iridescant bobble beads. 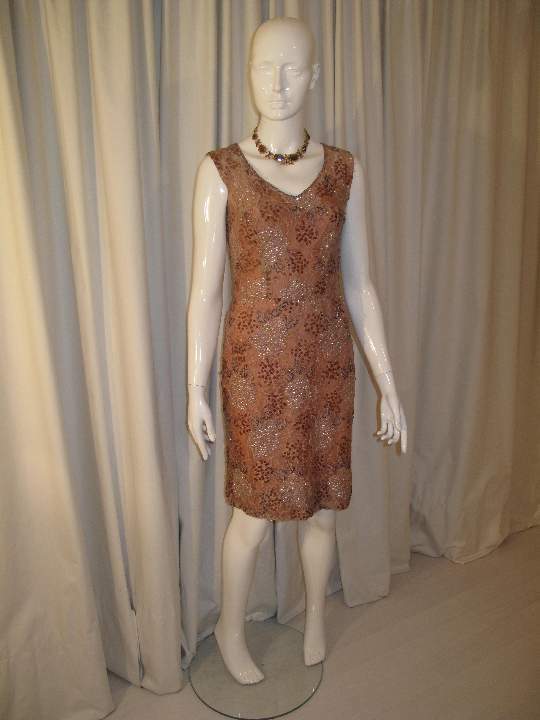 The dress is sleeveless with a wide V neck , with beaded edge and fully lined. Gorgeous shimmery party dress in a flattering colour..